Dynamic Therapy Services is a Texas based company providing physical, occupational and speech therapy. Dynamic Therapy Services also provides therapy companies with software to aid everyday business. Dynamic Therapy Services has a future rooted deeply in a powerful technology platform. We have an uncompromising focus on quality, consistency and just plain ole good heartedness. We pride ourselves in having incredible therapists & staff, top-notch paperless technology and processes with an eye on the bottom-line. 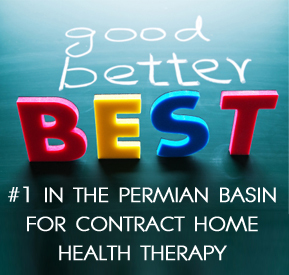 If you want to work with a contract therapy company that is leading the way in the industry, you are in the right place. 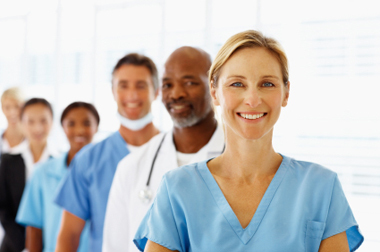 Contact Us in order to sign a contract and get started sending us patients today! What sets DTS apart from other therapy providers? Patients are seen during the day (8AM-6PM normally), instead of inconvenient night time visits. Full coverage (PT,OT & ST) for Midland & Odessa, along with extended coverage throughout the Permian Basin (Lamesa, Big Spring, Andrews, Monahans, Crane, Snyder). We have been in the industry for over 10 years and our therapists have the knowledge & "know how" to get your patients better! Computer based documentation, scheduling & tracking system that allows for a more focused approach on patient care.